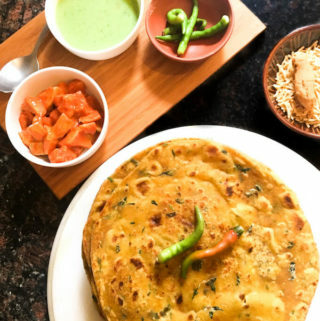 Methi thepla is a quintessential Gujarati snack. It is a flatbread made with whole wheat flour, gram flour, fresh fenugreek leaves, spices, and yogurt. Gujaratis are known for traveling far and long amongst all the Indian communities. Since ancient times, when long-distance travel was not so easy and you wouldn’t find food to your liking everywhere. So they perfected the art of travel food. If you have ever traveled with a group of Gujaratis, you would know their khakras, fafdas, and theplas! When we lived in Baroda a few years back, thepla was the most common picnic and road or train travel snack. How to make methi theplas soft for travel? On the outside, theplas may be considered the same as plain parathas where some vegetables and spices are added to the dough. But parathas do not last as long as theplas and neither do they stay so soft. There are a few key points while cooking theplas that are essential to make them last and stay soft for long. The dough is kneaded entirely in yogurt and no water is added. The gram flour added to theplas keeps them soft over time. They are rolled very thin so they can be easily packed for travel! 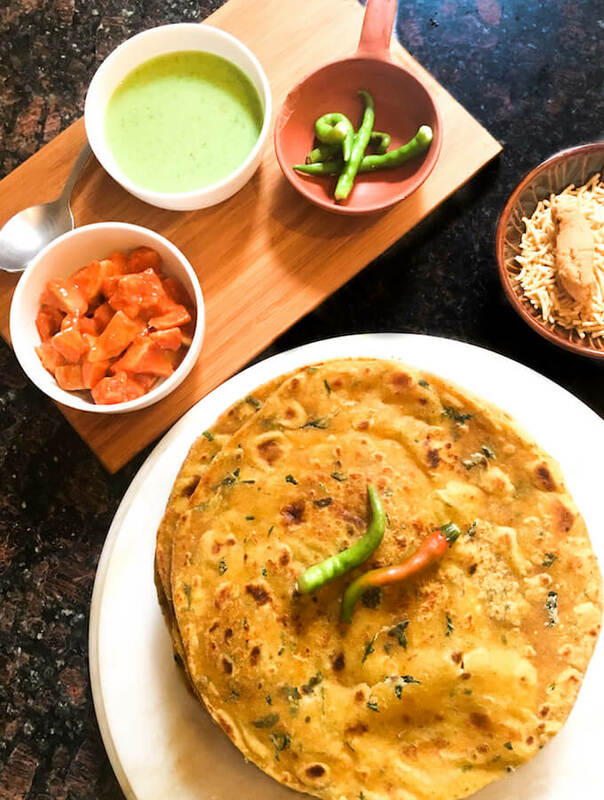 Different thepla varieties can be made with different vegetables — Methi thepla with fresh fenugreek, palak thepla with spinach, or even lauki thepla with grated bottle gourd. In fact, most leafy vegetables can easily be used to make theplas. For others, you can grate them and knead in the dough. Thepla is easy to pack, has a long shelf life, and it tastes great both hot and cold. These, plus the fact that it is a nutritious meal in itself with the flour and vegetables and spices all incorporated together, make it a popular tiffin, picnic, and travel snack. They don’t really need any side dish, but you can serve theplas with green chutney, tomato chutney, pickle, or yogurt. Methi thepla is a quintessential Gujarati travel snack. It is a spicy flatbread made with whole wheat flour, gram flour, fresh fenugreek leaves, spices, and yogurt. Mix all the dry dough ingredients in a big mixing bowl. Heat a flat pan on medium-high flame. Divide the dough into 6-8 small balls. Using a little dry flour for dusting, roll out each ball into a flat circle. When the pan is hot, put the rolled thepla on the pan. While it cooks, roll another one! Flip the thepla after around a minute. Sprinkle oil on the cooked side and flip again. Press and cook until golden brown spots appear. Sprinkle oil on the other side, flip, press and cook the other side. Serve hot with chutney, yogurt, or pickle. To keep the theplas stay soft and last long, make sure you add sufficient oil while kneading and also cooking. Knead the dough only in yogurt. We use very thick homemade yogurt. You need to use at least 3% fat yogurt. You can add extra flavors by adding green chilies, cumin seeds, and/or coriander seeds. If you don’t have fresh fenugreek leaves, you can also use Kasoori Methi (dried fenugreek leaves) but since they are much more concentrated in flavor, just add about 1 tbsp dried fenugreek in 1 cup whole wheat flour. Theplas easily keep in the refrigerator fridge or outside in cold temperatures for up to a week. For longer, you can freeze them. I normally freeze theplas in batches of 10. Once they cool down to room temperature, pack 10 theplas together in food foil and then place 2-3 such packs in a freezer bag and freeze. To defrost, remove 15-20 mins before eating and microwave for 2 mins (turn after 1 min) on high, keeping the theplas inside a kitchen towel or a cheesecloth to retain moisture. You can freeze them for up to 2 months. You might find it a bit crazy, but last month when I came back from India, a day before, we made a 100 methi theplas for me to carry back to Bucharest! I checked in the frozen theplas in a freezer bag. As soon as I got home, they went straight into the freezer to be taken out a few at a time as and when needed! Methi Theplas are an absolute favorite. I have never tried freezing them but this sounds really good. Will have to try. 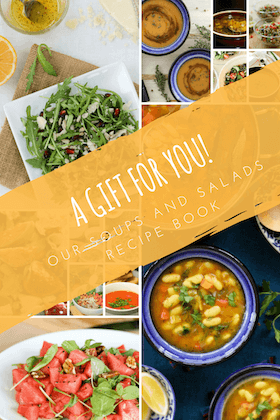 I’d love to try your recipes – please could you explain how much exactly you mean when you say 1 cup. I use the standard US cup measure where 1 cup = 240ml. Hope that is helpful. Do share your feedback when you make it. The proportions in this recipe are incorrect. I only added less than a cup of yogurt and ended up needing far more than 2 cups of whole wheat flour. The recipe needs testing and correcting. I am sorry you had this experience but I make a lot of theplas and use this recipe everytime. So it is a highly tried and tested recipe. What I can think of is that you might be using a very runny yogurt. We use thick yogurt which doesn’t have a lot of water content. Also, the yogurt is added slowly so that if the yogurt is runny, the quantity can be adjusted to when the dough is kneaded. Yammy thepla if I am traveling with my family by road in car on the way We are having lunch in dhaba with home made thepla recipe given by you with mango pickle. No need to buy outside food. Hello , for travelling abroad can we take out theplas from freezer and after completion of journey again put them in freezer? I mean doesn’t it gets spoiled because of defrosting and frosting? When traveling abroad, I take them out of the freezer right before leaving the house and put them in the freezer as soon as I reach home.. Since the luggage hold is very cold, they don’t get spoiled. Unless you have a very long layover, they stay good. Also, freeze them a few days before so that they are well frozen. I’ve taken them on 16 hours journeys with 3-4 hour layovers.